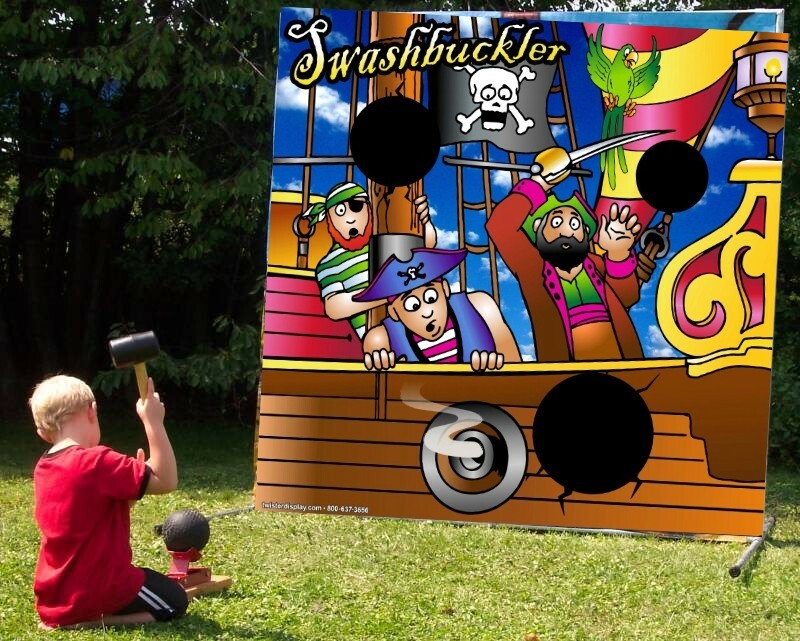 Swashbuckler lets the player test his or her skill by catapulting a rubber cannon ball into the pirate ship. Kid's love it! And you'll love it too, because this compact, low maintenance, low cost unit will pay for itself in a very short time and will really boost your profit potential. Size: Height: 7ft. Width: 5ft. Depth: 4ft. ©2016 DallasCarnivalGameRentals.com - No images or content may be used from this site without expressed written permission.